Ian Somerhalder is an actor, environmentalist and humanitarian known professionally for his work in the WB hit TV Series, “The Vampire Diaries” and the ABC critically acclaimed drama, “Lost.” He is proud to have participated in both seasons of the ground-breaking, award-winning climate change documentary series, “Years of Living Dangerously” on Showtime and National Geographic. Ian is the Founder and President of ISF and he is designated as a United Nations Environment Programme Goodwill Ambassador. Nikki Reed is known for her role as Rosalie Hale in the hit “Twilight Saga.” She won critical acclaim for her first feature, “Thirteen,” which she starred in and co-wrote. Nikki most recently appeared in Fox’s popular TV Series, “Sleepy Hollow,” playing the role of historical figure Betsy Ross. She also stars in the upcoming season of “Years of Living Dangerously.” Nikki has spent many years volunteering with and supporting animal rescue programs, wildlife and environmental groups and mentoring programs focused on the education of disadvantaged youth. Nikki is the Vice President of ISF. The Ian Somerhalder Foundation (ISF) , an IRS recognized 501c3 founded by Louisiana-born actor, environmentalist and animal advocate Ian Somerhalder, is dedicated to empowering, educating and collaborating with people and projects to positively impact the planet and its creatures. ISF raises awareness about environmental and animal protection issues, supports initiatives to promote green energy, global conservation programs, and empowers youth to become a united and spirited force for change. ISF's Emergency Medical Care Grants provide financial assistance for the care of animals recovering from abuse, neglect, and injuries; easing the financial stress of treatment so that rescuers can focus on an animal's adoption into a permanent, loving home. The grant program has helped thousands of creatures to date. 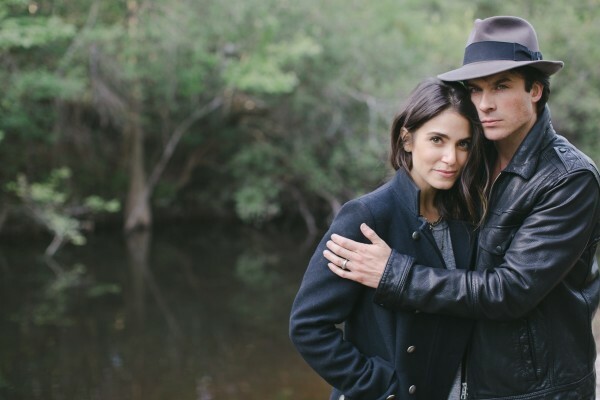 Somerhalder, who grew up in Covington, Louisiana, purchased 100 acres of land near Mandeville with the intention of preserving about 70 acres of bayou and using the other 30 acres to support pet projects that serve the needs of animals, youth and the community at large. The acreage, nestled in the middle of an area that is rapidly urbanizing in St. Tammany Parish Louisiana, encompasses three eco-systems along the eastern half of Bayou Lacombe and is home to many species of birds, mammals, reptiles and amphibians. Scott’s Wish is an IRS recognized 501c3 made up of volunteers in the Northshore community helping others who have life threatening illnesses. Scott's Wish has helped young and old who are going through all phases of cancer treatment, heart disease, organ transplants, newborn birth defects, and ALS patients. Scott's Wish was named for Scott Lala who succumbed to Acute Lymphoblastic Leukemia (ALL) in January of 2008. The purpose of the organization is to charitably assist patients, families, and caretakers with the cost of travel, lodging and related expenses necessary for treatment and care of those persons suffering from leukemia or other devastating illnesses. Scott’s Wish works closely with social services at leading children’s hospitals and research facilities to close the gap of financial need and offer help for unusual assistance requests such as car repairs, storage fees, wheelchair ramps, etc. Every request is reviewed and funded in some capacity.